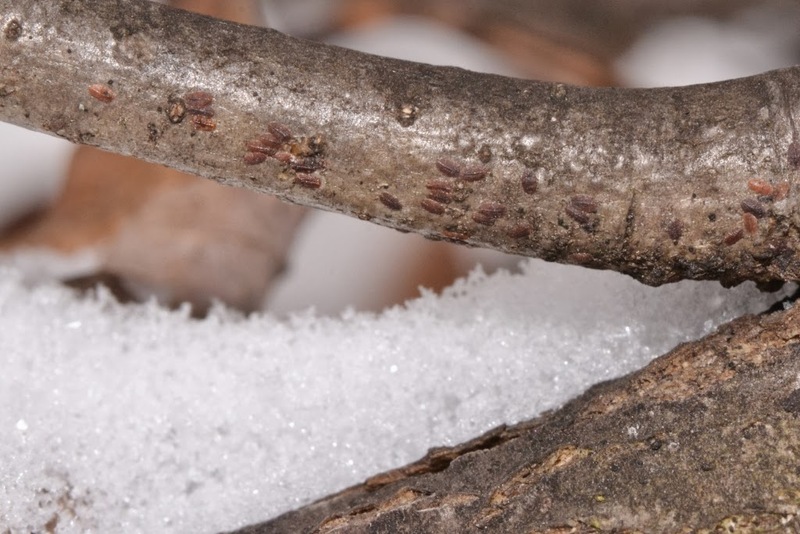 Yes, this is a winter photo of scale insects that are overwintering by clinging to branches - exposed to the elements during the coldest part of winter. My family was not exactly pleased to see these photos because now they can envision oak branches in the winter all covered with hordes of these "gross little pillbugs". 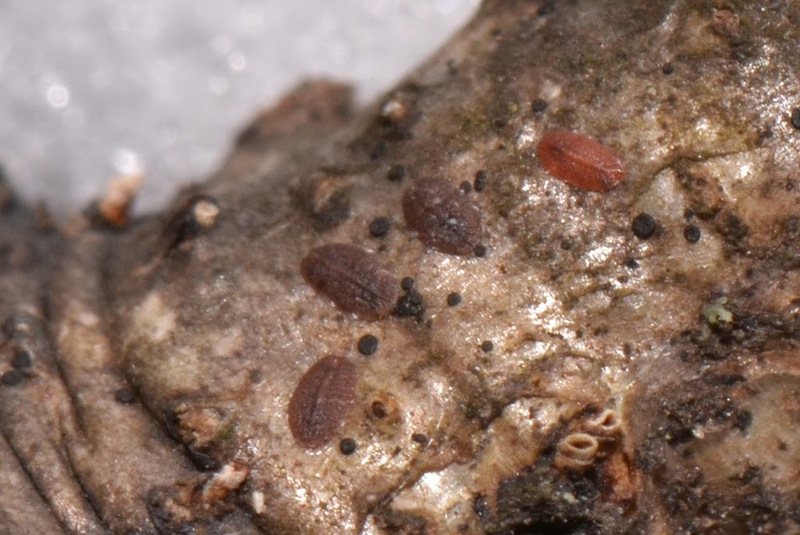 Juvenile scale insects are plentiful on the underside of many oak branches where they spend the winter right out in the cold, wind, snow, and ice. Not a very pleasant way to spend the winter, eh? Spring is a long way off.... will they survive the winter? 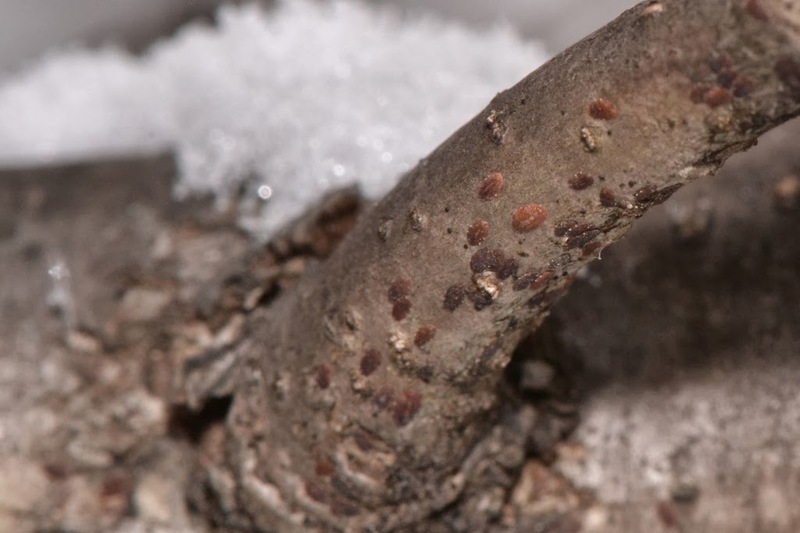 I wonder how well the scale insects fare in freezing rain when ice covers everything? I wonder how many of the insects succumb to the cold when the temperature drops to well below zero Fahrenheit? I suspect the harsh winter weather we've had has taken its toll on some of these scale insects. I think the lighter-colored ones - the reddish brown ones - are ones that have died. Unfortunately for the trees it doesn't look like a very high percentage, does it? 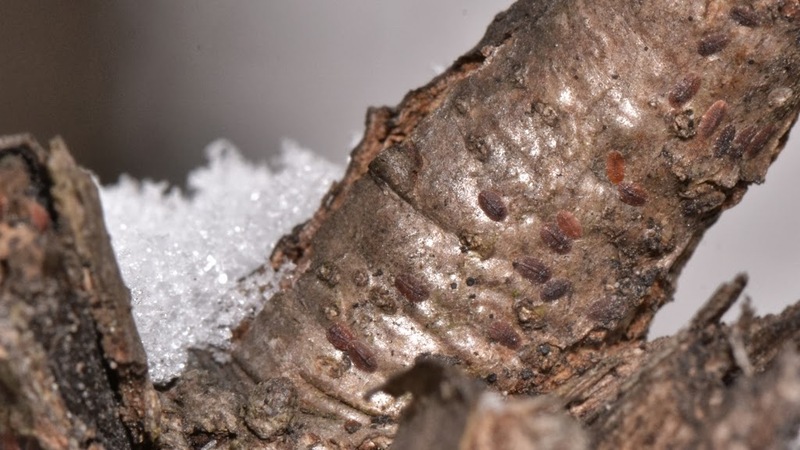 If that's the case, right now it looks as if this coming summer there will be another bumper crop of scale insects in this particular woods. I suppose I'll find out how well the scale insects handle a hard winter when, come spring, they settle down and grow large like they did last summer. 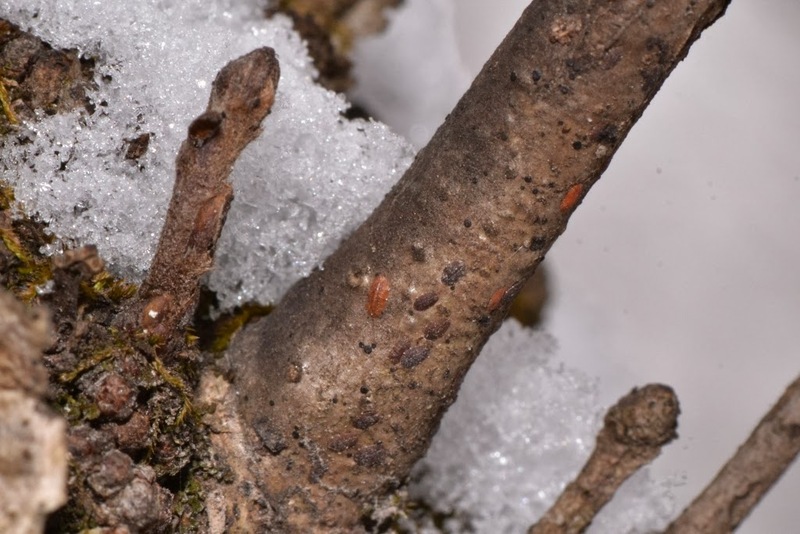 Now, really, there are so many scale insects on some trees that more than a harsh winter is needed to rid them of these sap-sucking pests. 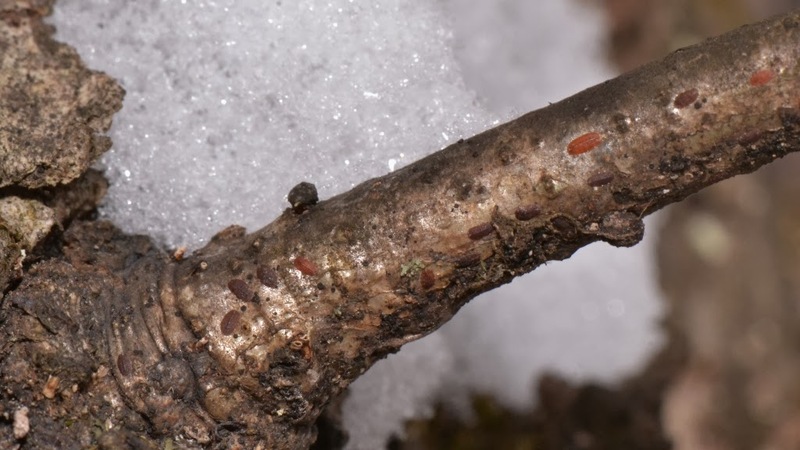 Oh, now I hope you don't mind the unpleasant thought of these ugly scale insects covering the branches of the bare winter trees... isn't their winter survival strategy at least a little interesting? See my posts about adult Oak Lecanium scale insects and some predators of the scale insects and also the scale insect's honeydew droplets covering everthing.